Materiom is a platform for developing and sharing open source material recipes made from locally abundant nutrients. Plastics made from algae, starch and proteins; composites made from natural fibers, common minerals and clays; materials that are strong and flexible, yet made on a stovetop and dissolved in your sink. Within this presentation, Materiom co-founders will discuss the growing bioeconomy and its role in pioneering 21st-century materials that are regenerative by design. We will share existing case studies and demonstrate how Materiom’s unique mix of multidisciplinary research, distributed materials testing, and an open data can empower scientists, designers and engineers around the globe to collaboratively push forwards circular material R&D. And if pollution was a resource that ignores itself? This talk is about the theory "Pollution it's not existing, it's a new a mindset", so we can build new solutions from this theory. I show my experience with "Toulouse Clean UP", a project who transforms plastic river pollution in a virtuous circle to protect the ocean. At a time when territories and habitable spaces are changing, it is necessary to explore new modes of production that are simpler, easily duplicable and sustainable. By using biology as a technology and process, it is now possible to transform waste into everyday objects, on a habitat or neighborhood scale. What applications can we imagine? What ethical and legal issues can these processes emerge? Cross dialogue between design, biology, and law. The cornerstone of innovative solutions. We have less than 30 years to revert waste and exhaustion of fossil resources, pollution, deforestation, depletion of biodiversity, ensure food autonomy & energy for the increasing population. This sound like mission impossible right? 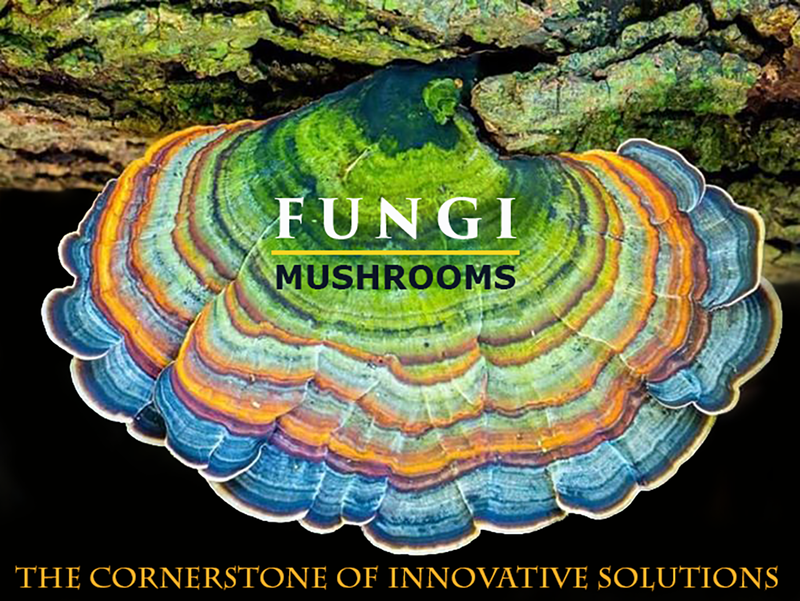 But believe it or not, makers and scientist around the world are finding solutions in FUNGI to shape the future otherly. This astonishing organisms colonized the earth millions of year ago, and today they are the cornerstone of innovation. Imagine a future where objects can be grown, instead of manufactured. Cigarette butts may become floating devices, shoes made out of discarded food and agro-waste may turn into super foods, all this can be possible thanks to mushrooms. Director of Materiom, Liz Corbin is a materials designer and researcher. In addition to Materiom, Corbin is currently a tutor in Design Product at the Royal College of Art and and a researcher at University College London's Institute of Making. Jessica den Hartog doing a research that serves as a library of recycled colors and materials in a never ending process. All the possibilities of recycled plastic into new materials to provide me and others with aesthetic materials made from waste.